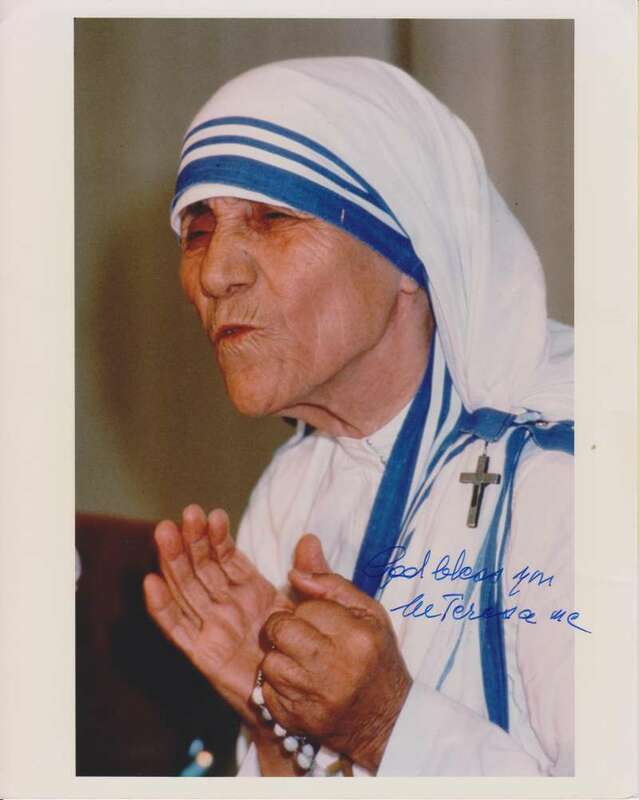 Today we honor St. 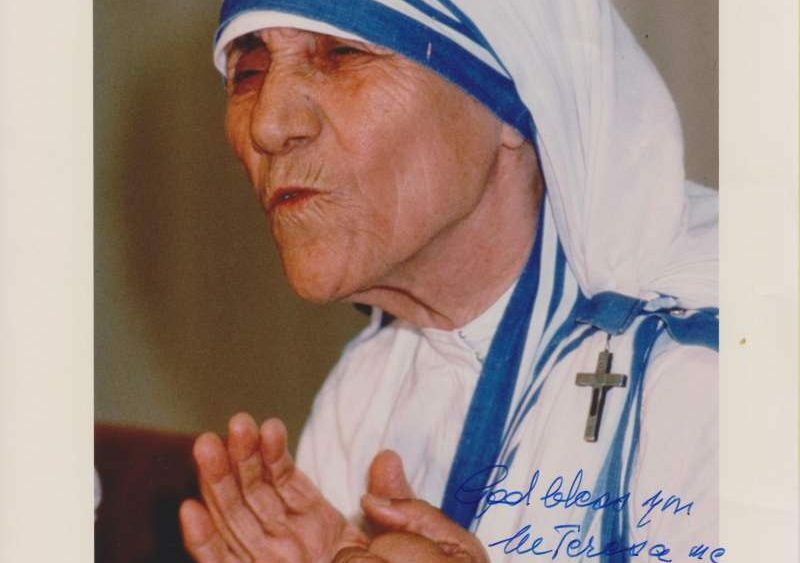 Mother Teresa of Calcutta on the first anniversary of her canonization. 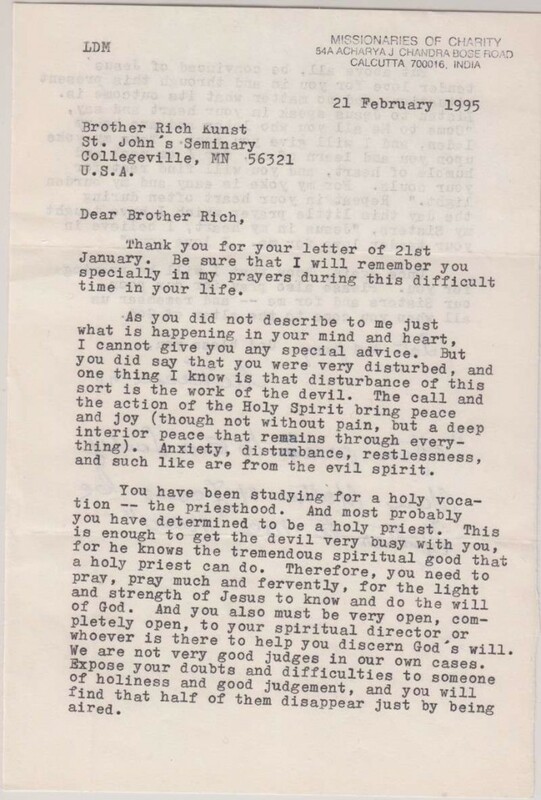 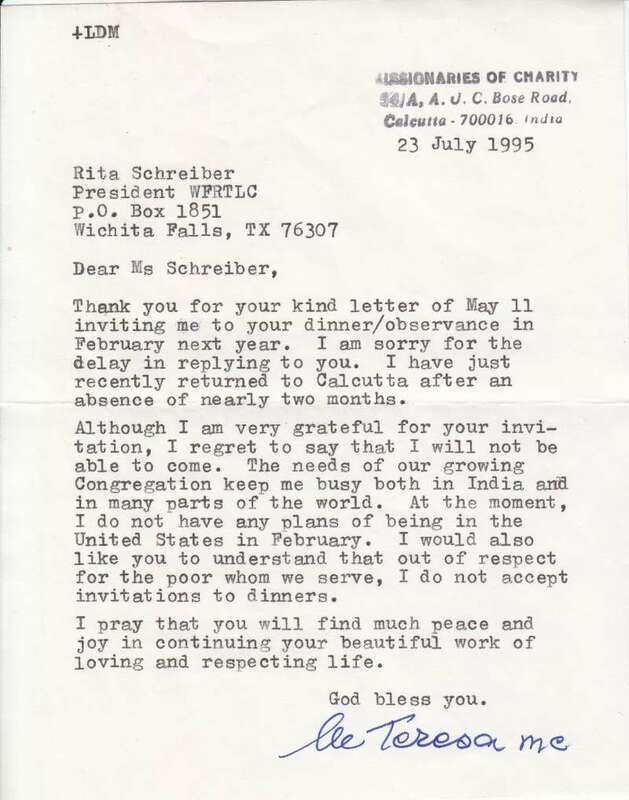 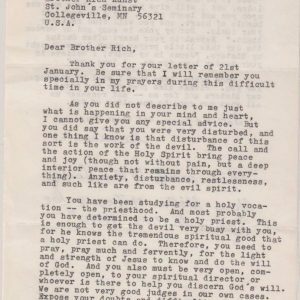 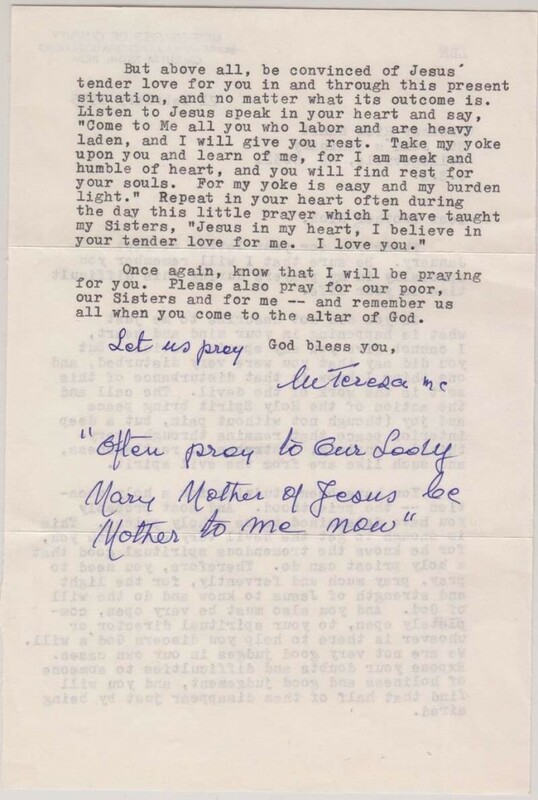 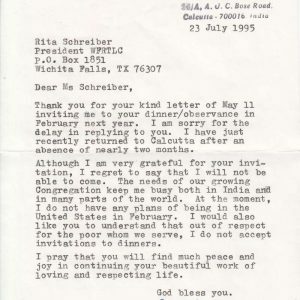 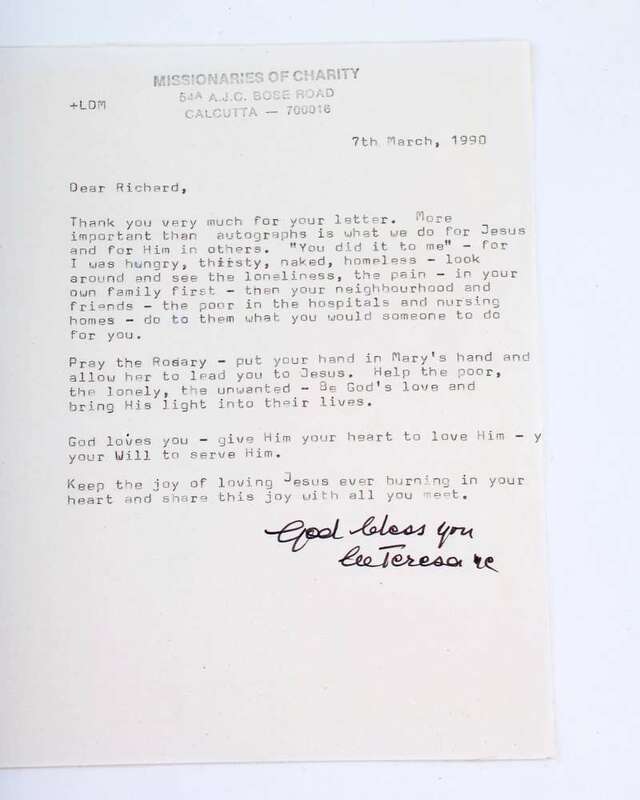 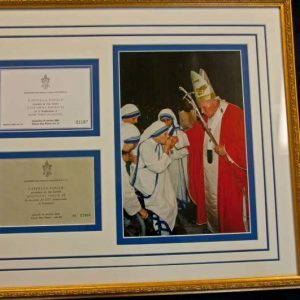 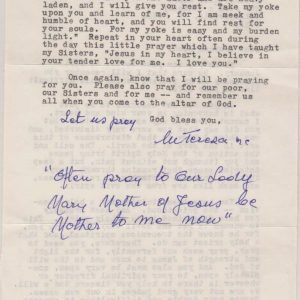 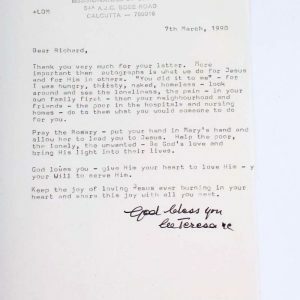 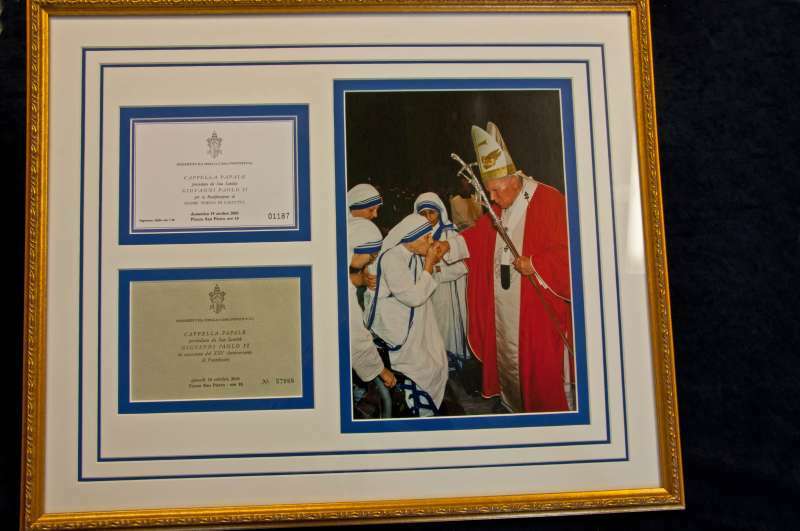 Featured here are the personal letters Father Richard Kunst received from Mother Teresa, one additional letter and a framed photo of the beatification tickets of the Curator’s.